Tradition- there is something to be said. Ahhh, traditional methods. Using the same technique for over 100 years. 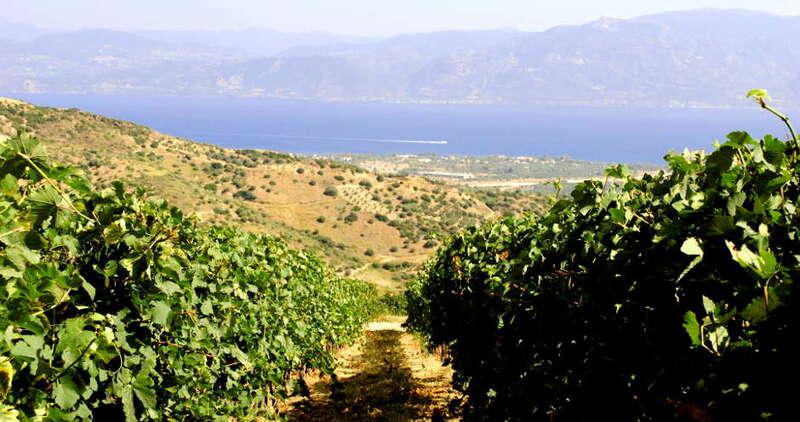 Greece- where grapes grow in ancient vineyards , where they are carefully harvested by hand and laid out to dry by Helios himself. What a peace of mind to know that the balsamic you choose for your family has no added caramels or preservatives, something that did not exist when the Vrisi36 method of making balsamic originated. Oh, and did we mention the grape we use produces no sulfites? Ohhhh, and the taste. This vinegar is like no other. A very balanced and sweet flavor. 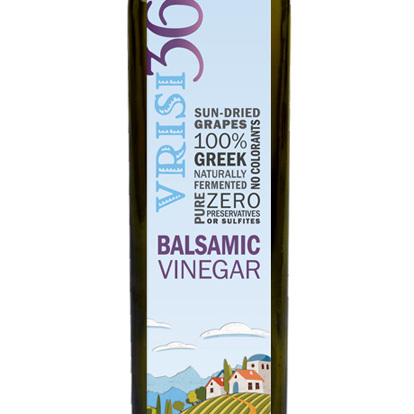 Vrisi36 Balsamic vinegar is a natural product rich in antioxidants and low in calories. Accordingly, it is a very healthy food. Children like the flavors. It encourages them to eat salads and vegetables, improving their dietary habits. 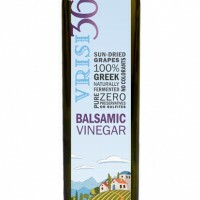 Replacing ordinary vinegar with Vrisi36 balsamic will tantalize your taste buds and delight your senses. We will have you too, Ah-hing and Ooh-ing over this delight of a product. Directly from Greece to your dinner table. #greekgoodness, providing piece of mind with all natural methods and ingredients and pure gastro delight for your entrees and dinner guests. Check out this recipe and let us know what you think! 1- Wash and slice the berries. In a small bowl, mix the berries with 2 tablespoons maple syrup and 2 teaspoons Vrisi36 balsamic vinegar. Let marinate for about 30 minutes, stirring occasionally. Prior to serving, add a few grinds of fresh pepper. 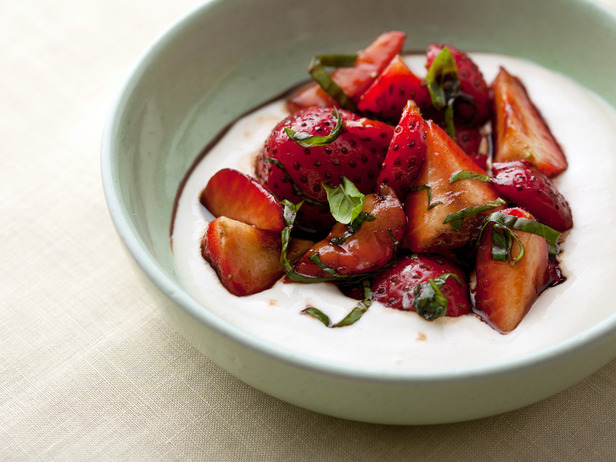 2- In a small bowl, combine Greek yogurt and about 2 tablespoons honey, or more or less to taste. 3-To serve; place a dollop of the yogurt in a bowl. Top with berries and mint. This entry was posted in Uncategorized and tagged all natural, evoolution, greek balsamic, greekgoodness, high in antioxidants, no caramels, no suflites, traditional method, vrisi36. Bookmark the permalink.